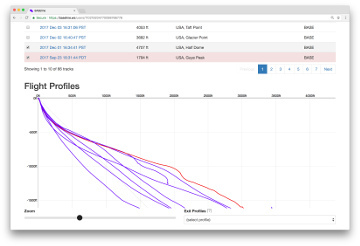 BASEline is a set of tools to help wingsuit pilots analyze flight data. There is an android app for logging data, and in-flight audible feedback. There is also this website, where you can upload GPS data to be analyzed. 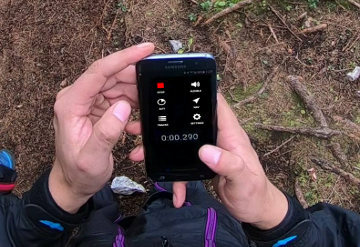 Record your GPS flight data BASEline Flight Computer is an android app for recording GPS, altimeter, and accelerometer data on your phone. Compatible with external bluetooth GPS units. In-flight audible feedback Audible mode can speak your speed or glide ratio for in-flight feedback. Automatically sync your track data to baseline.ws for later analysis. 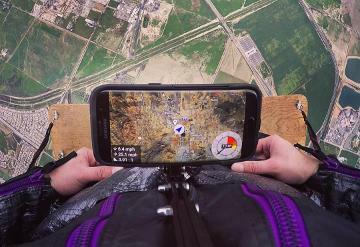 Upload data from your jumps, and get the most advanced flight analysis available for wingsuit pilots. No installation needed. FlySight compatible. 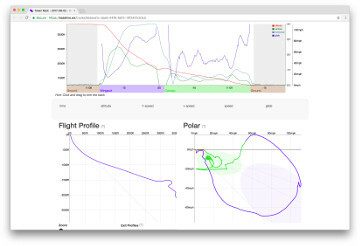 BASEline generates unique maps and charts to help you to analyze your skydiving and BASE jumping data. 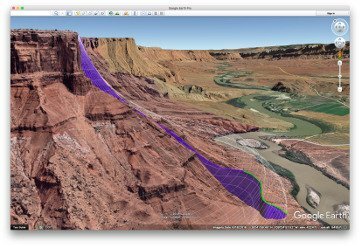 Maps include 3D visualizations inside Google Earth to explore flyable terrain and evaluate flight plans and margins. Charts include the usual plot of altitude, speed etc. Machine learning helps to automatically identify exit, deployment, landing, and jump type. BASEline has led the way in developing new ways of visualizing wingsuit flight data.